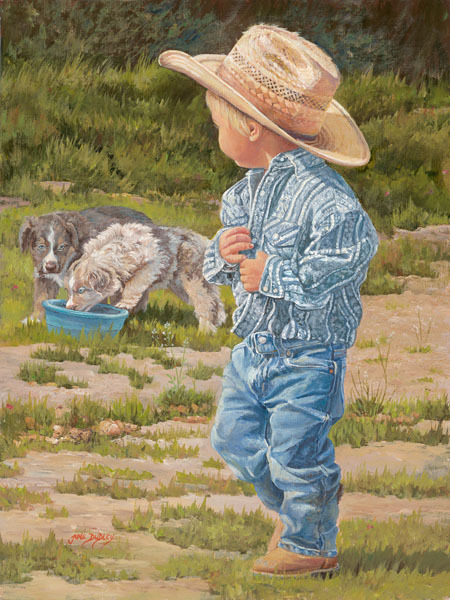 June Dudley enjoys painting images of children and their chores around the farm or ranch. This youngster, dressed in his Western shirt and blue jeans, is ready to take on his next chore. Walking across the pasture, he stops to watch his dogs drink from an old pail. Maybe this cowboy in the making carried the pail to his devoted companions to quench their thirst.